Since Google purchased the Nik Collection software, photographers and digital artists everywhere were raising concerns that it would be “killed off”. Now those concerns are real, as Google has announced there will be no further updates. Whilst the software still functions and is free, nobody can predict the future or what difficulties this might bring. Many photographers and Nik users are now actively looking for a Nik Collection alternative they can switch to. This article explores a few of these as well as considering do you even need a direct replacement for the Nik Collection. This is the message you now see on the Nik Collection website. Before searching for an alternative to the Nik Collection, it’s worth spending a moment to consider the tools. The collection offers a wide range of tools and different people will have different needs. You need only browse the internet and discussion forum arguments to realise this. Here then is a list of the tools in the Nik Collection and their purpose. If you’re looking for an alternative it’s worth taking a moment to consider which you find Essential, Useful or May need in the future (but don’t currently use). The example assessment here reflects my own personal use of the tools. It’s likely your needs will be different to mine so be sure to do this exercise yourself. Now you understand which of the tools are the most important to you, it’s worth considering why. For example, what is it about this tool that makes it “Essential” in your work. Let me give you an example. I rated Nik Viveza as essential because of the speed improvement it affords my workflow. I’m perfectly capable of achieving the same results using Adobe Photoshop. It would though take me much more time to create the selections and make the adjustments. That’s time I can’t invest in running my business so ultimately it costs me money. As with the previous assessment of collection, it’s likely your reasons for rating the Nik tools will differ to mine. Spend a few minutes considering your ratings and the reason for each. Make a note of these as it will help you when you come to evaluate alternatives. Analog Efex Pro Analog film, camera and lens simulation. Special effects. Color Efex Pro Creative effects filters for retouching and special effects. Silver Efex Pro Black and white conversion and darkroom special effects. 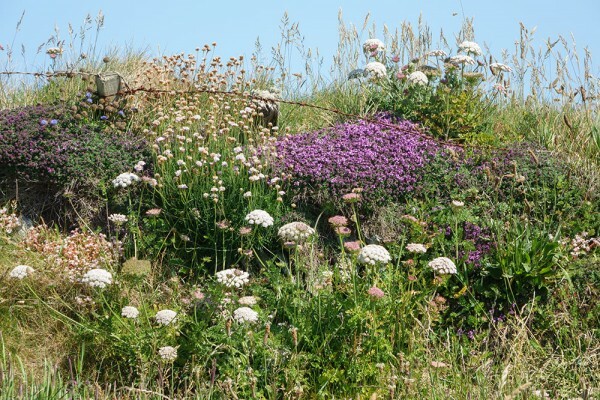 Viveza Control tonality and colour in images. HDR Efex Pro Merging multiple exposures into a single image with increased dynamic range. Sharpener Pro Image sharpening to bring out fine details. Dfine Reduce and remove image noise. Again, you can see some of my reasons in the table above. What do you Mean an Alternative? We now have a good understanding of why we rate the various tools in the Nik Collection the way we do. It’s time therefore to talk about what we mean by an alternative. Scanning some of the discussions about alternatives to the Nik Collection, you start to notice a pattern. Most people are looking for a replacement plug-in or enhancement for Lightroom or Photoshop. If someone tells them they can achieve the same results in one of these “core tools” they seem to reject the idea. Take a moment to consider what YOU CONSIDER to be an alternative. They don’t provide me with the same speed of editing as I have with the Nik Collection. I must spend more time thinking about how to achieve an effect or adjustment than when using the Nik Collection. The Nik tools allow me to focus on the appearance of the image and largely forget about the technicalities of how to create the effect. Image editing therefore becomes more intuitive. As you can see, I’m getting a couple of benefits that mean Lightroom and Photoshop on their own just don’t cut it for me. Think about the benefits you’re getting from these tools. Are they sufficient to justify spending money on additional software and investing the time to learn this? Could it be that you’re better investing your time in learning to use Lightroom and Photoshop? As mentioned, you can replicate pretty much everything the Nik Collection does in Lightroom and Photoshop providing you know how. It’s just that it takes longer and has a much steeper learning curve. You also need both applications as some adjustments might not be possible in Lightroom alone. Typically, these will tend to be special effects such as adding textures to simulate film scratches or creating film edges. Here is a quick assessment against each of the Nik Collection tools and whether they could be replaced by Lightroom or Photoshop. In the assessment above, you can consider the capabilities of ACR (Adobe Camera RAW – provided with Photoshop) to match closely those of Lightroom. As you can see, there is a lot that can be achieved with these two packages, but it takes knowledge and experience. I have seen some discussions mention replacing the Nik Collection tools with Lightroom and ACR presets. Presets do not introduce new functionality, they just apply settings to the tools that are already there. The limitations of the packages still exist. Some of the features/effects require quite a lot of technical skill to reproduce. You won’t achieve high quality results using presets where this is the case. Photoshop Actions may provide some alternatives as these can be used to automate some of the more technical aspects of editing. For example, you can automate the creation of a luminosity mask to target certain tones. If you don’t want to invest the effort or find learning software to be “not your thing”, investing in additional tools may well be worth the expense. Assuming you decide you want to use additional software, the next section of this article looks at a few alternatives. Plug-ins are additional pieces of software that can be run from within tools such as Photoshop and Lightroom. These provide you with well thought out interfaces (usually) and sometimes features that don’t exist in the host application (Lightroom, Photoshop etc.). They are intended to enhance the use of the host application, making it easier and quicker to work with. More recently, some of the packages have begun to develop into stand-alone applications that don’t require a host application. Let’s look at a few that I have found to be very good. Alien Skin is the software house and Exposure is the package. Now at version Exposure X4, this software has developed beyond the original film simulations to provide a comprehensive set of editing tools. More recent versions allow the conversion of RAW files to images. The latest version even provides support for layers which greatly simplifies your workflow. I have personally been a user of the Exposure software since version 6. The interface is very well thought out although I find the latest version with support for Layers a little confusing. All versions make good use of Presets and it comes with a huge number of film stock presets. If you like to simulate film, this software should be high on your list as its one of the best if not the best. It’s a very effective piece of software and includes features that aren’t found in the Nik Collection. One example of this is the Infrared simulation (halation effect) which I haven’t seen elsewhere. The film grain effect is also exceptional and provides an amazing degree of control. This is still my go to software for processing my Infrared photography because it allows me to process digital images so that they look like film. A trial version of the software can be downloaded from the Alien Skin website https://www.alienskin.com/. I am an Alien Skin affiliate and the above link is an affiliate link. I receive a small commission if you make a purchase using this link. This doesn't cost you anything and I put the money towards the running costs of Lenscraft. The Photo Wiz collection of Plug ins is available from The Plugin Site. These are perhaps the most similar tools in approach to the Nik Collection. Unlike the Exposure software above, you will need to invest in several different packages. ColorWasher – Colour, contrast exposure and saturation correction. LightMachine – Shadow/highlight, virtual lighting and colour based editing. ContrastMaster – Contrast enhancement, dramatic looks, photorealistic and HDR like effects. BWStyler – B&W conversion, traditional B&W effects and B&W enhancement. ColorStyler – Color and photo effects. FocalBlade – Screen and Print Sharpening. NoiseControl – Noise removal and painting like effects. The ColorWasher software together with LightMachine provide capabilities like that of Nik Viveza and to some degree Nik Color Efex Pro. ContrastMaster produces effects like the Tone Mapping in HDR Efex but also the contrast adjustments available in Nik Color Efex Pro. It does though go well beyond anything I have seen in any other software. It’s worth investigating this package even if you don’t intent to switch from your current software. BWStyler is a direct replacement for Nik Silver Efex Pro. It isn’t quite as flexible BUT it does provide some features not seen in the Nik software. Its film simulations are exceptional and the results appear extremely close to film. If your familiar with a traditional darkroom you will probably love the results from this software. ColorStyler provides many of the adjustments in the Nik Color Efex software although you might need to use the package in combination with some of the others. FocalBlade is the sharpening tool that would match Nik Sharpener Pro. The results from FocalBlade are the best I have seen from any application. NoiseControl is the equivalent of the Nik Dfine. The results from these tools are very good but you may find the learning curve steep. The interface isn’t as intuitive as the Nik Collection although for most of the products you can switch the level of expertise which limits or expands the visible features. I personally have all the packages except for NoiseControl. All will produce very good results and can be purchased for Windows and Mac computers. They are also available as stand-alone applications or as plug-ins for Photoshop. If you want to use these tools with Lightroom you will need the stand-alone version of the software. The plug-in version will work with other editing tools such as Elements, Paint Shop Pro, and many more. The PhotoWiz collection of tools can be found on The Plugin Site website at http://www.thepluginsite.com/products/photowiz/. Whilst your there, it’s well worth looking at some of the other products offered by this company, especially if you’re an Elements user. Perhaps the fullest featured replacement for the Nik Collection. This software has blurred the lines between Lightroom and to a lesser extent Photoshop. It includes a Browser tool to help you locate images as well as a Develop module for RAW conversion. It also makes use of the preset concept, shipping with quite a few presets but then provides more on a regular basis as loyalty bonus to its users. The software is very well thought out and incredibly flexible. In addition to the presets which provide some good ideas and an initial starting point, there is a wide range of filters you can use. Each filter provides a significant degree of customisation and is added as a layer. Each of these layers has a layer mask attached allowing you to further target the adjustment. The results you can achieve with this software are excellent and range from special effects through to very natural adjustments. The only feature it doesn’t currently provide is HDR. Although it may be difficult to see at such small resolution, the enhancements you can apply in the software range from special effects to subtle, natural improvement. Take this scene shot on a Sony RX10. The initial image above is natural and well-focussed with lots of fine detail. Following enhancement in On 1 Photo RAW the image below now appears crisper, better defined and with improved colours. It also continues to have a very natural feel but now has a depth to it. I have found in the past that the software crashes a lot when new versions are released. It’s almost as though it’s been rushed out before its ready. As further minor releases are made it seems to become more stable. It’s quite demanding in terms of processing power and can be quite slow as a result. The company has a habit of making regular new major releases which you need to pay for. Over the past few years there has been a major release each year. The differences between the versions are often quite minor it seems. In addition, they tend to sell the upgrade well in advance of it being available. This year I think I ended up paying for the upgrade three months before it was shipped. There is even a free version of On 1 Effects 10.5 (the previous version of the software) which has some of the filters removed. Despite this, it’s still a very useful piece of software. Of the various alternatives to Nik discussed here, Topaz Labs probably has the widest range of products. They are well known in photography circles and I personally have been using their products for probably 10+ years. Adjust provides general adjustment options for images and can achieve results similar to Nik Viveza and Nik Color Efex Pro. 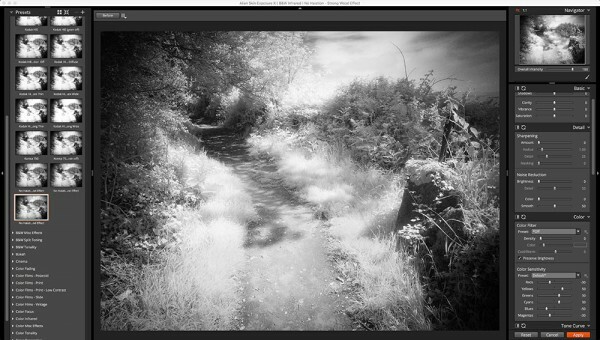 B&W Effects is a very powerful B&W converter that would replace Nik Silver Efex Pro. Texture Effects is often thought of as being used to blend textures with images but it can do so much more. 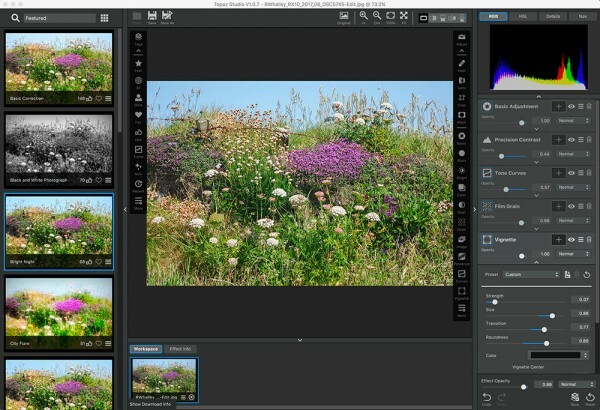 It’s a very powerful application and can replace the Nik Analog Efex tool. I cover this entire application in detail in my book From Photography to Art with Topaz Texture Effects which also features a 15% discount code. InFocus as the name suggests would replace Nik Sharpener Pro. I also know some photographers who use Topaz Detail to sharpen their images. Although the name Topaz Detail suggests this application is all about sharpening, it also provides some nice enhancement tools that can adjust images in a similar way to Nik Viveza. I included details of how to do this in my book Topaz Detail for Landscape Photographers. Topaz DeNoise is similar to Nik Dfine except that it’s on steroids. This is one of the most powerful noise removal applications I have seen but it does take a little bit of effort to master. It’s well worth the effort though. The Topaz Clarity and ReStyle applications cover the same area as Nik Color Efex Pro. In addition to the above, Topaz has several other products which might be useful, especially to those more interested in digital art. These include Clean, DeJPEG, Glow, Impression, Lens Effects, ReMask, Simplify and Star Effects. The only thing that’s missing from this list is an HDR tool. But whilst Topaz don’t provide a means to blend images together, they can produce results that are like Tone Mapping effects with HDR. In fact, you sometimes need to work hard to prevent this look creeping in to your work. This is perhaps the main downside to some of the products. The look can be distinctive but it’s not to everyone’s taste. Another great feature of the Topaz toolset is that they come with lifetime updates included. Each time an update is released, you get to download this for free. This includes major revisions. With this long list of useful tools, you would be wise to download the trial versions from their website. The latest Topaz product may just be a bit of a game changer though. Topaz Studio is a new interface which provides and groups various adjustment filters. It’s stand-alone so removes the need for Photoshop. Best of all, it’s FREE. Topaz Studio, the latest product from Topaz Labs. It might just be the only software you need. There is a nice set of adjustment filters with which you can achieve a lot. You can then add further filters as you need them. These can be purchased either individually or as a complete set. It’s well worth downloading and exploring the free version of the software. I am a Topaz affiliate and the above link is an affiliate link. I receive a small commission if you make a purchase using this link. This doesn't cost you anything and I put the money towards the running costs of Lenscraft. To summarise the Nik Collection Alternatives discussed in this article, the following table may help. It makes a high-level assessment of whether the features in the alternative packages could be used to replace the effects achieved with the Nik Collection tools. Based on my own needs, budget and abilities, any of these options would make a good Nik Collection alternative. I suspect having used all of these I would gravitate towards the Alien Skin or On 1 products because I feel they offer the best combination of speed and image quality. That said, it’s a pretty close-run thing across all the products. One aspect that wasn’t covered in this review is the quality of the resulting image file. 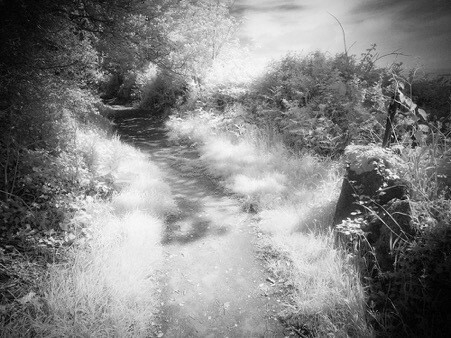 When you edit an image using the Nik Collection tools, it’s quite easy to emphasise noise in an image. Some of the tools, for example Silver Efex Pro are a little worse for this than others and strong adjustments will give rise to unwanted artefacts. This is perhaps the area in which the Nik Collection is now showing its age. In comparison, all the packages here appear to be better at achieving/maintaining high levels of image quality. All are fairly close in this respect but I have personally found the Exposure and On 1 Photo RAW allow stronger editing effects to be applied whilst maintaining the highest levels of image quality. This is my view having used the software across a wide range of images, from various cameras, shot in different lighting conditions. You can find more suggestions of Mac and PC Photo Editors on this page of Lenscraft. And to help you assess the benefits and drawbacks of the many options, I produced this article discussing how to choose Photo Editing software. If one thing is clear though, you will need to investigate the options and work out which tools are going to suite your needs best. Don’t expect to follow someone else’s recommendations. It’s likely they will have different priorities to you. Silver Efex pro 2 was an excellent cutting edge black and white software conversion program when it was introduced. The software program will inevitably quickly becomes outdated if no research and development is done to update and improve it. It will eventually become obsolete. If it had remained the property of the original talented creators, they would have continued to update and improve it with subsequent versions and many photographers around the world would have benefitted. Google, a gigantic American Corporation, when they bought it never had any commitment to, or interest in, photography or the development of digital photography processing software. For their own business reasons they may have intended all along to just buy it, stop all development and R&D on it, make it freely available, and watch as it became quickly became outdated and obsolete. They could not care less about photographers around the world. Black and white photographers have thus been deprived of Silver Efex pro 3 onwards which highly likely would have been excellent innovative programs for creating black and white photographer. I can’t disagree that I feel a little abandoned as a Nik user. But I think there is more to this than meets the eye. There are a lot of inconsistencies across the Nik software, even for common features such as Control Points. They work differenty in different packages which suggests to me that there isn’t a common code library. This is typical where a product set has been developed over time by a smaller, more innovative company. I suspect there was a lot more work required to launch the next version of the Nik Collection than Google wanted to invest. I do know they had it in plan at one time but decided to change direction. Hopefully DxO will make a good job of the next version. (By the way thank’s again for previous). Thanks for the positive feedback on the Newsletter. Yes, let’s hope DxO don’t mess around with the selection technology too much and make the product affordable. I would like to see them have a common control point standard across all the products. Viveza has the best implementation at the moment. For some reason, Google managed to downgrade the control points in Silver Efex. Any experience with Pixel Genius for sharpening? Martin Evening helped to produce it. I have not tried it yet with Mac OS High Sierra on new 5k iMac but it worked well on older iMac and integrated with PS 2014 through I’m now at 2018. Sorry I don’t have personal experience although I have read positive reports. If Martin Evening has been involved I’m sure it will be good. My problem isn’t that I WANT to replace the NIK collection, but that I find it necessary to find an alternative supported by my recently installed Mac High Sierra (i.e., 32-bit not supported by 64-bit). I contacted Mac Support but they could not help. ADDITIONAL INFO: I had been using NIK collection with Photoshop CS6 with earlier Sierra system. NIK filters now crash PS since upgrade to High Sierra. The High Sierra upgrade may be a bit misleading here and might not be the problem. I am using High Sierra on my main Mac and have no problem running Nik or any of the other filters I mention. I can use them with both Photoshop and Lightroom. I am though using the latest Creative Cloud version of both. I’m wondering that as your running CS6, is it the old version of Photoshop that’s causing the issue. Have you tried to uninstall the Nik Collection and then reinstall it? Not sure if you have seen it or if it helps, but it does look similar to your issue. Thanks. I agree that U-point technology is excellent and very difficult to replace but given it was under paintent, it won’t be replicated. Fortunately with DxO buying into Nik it may not be such a worry. Whilst is may be more work, you can accomplish pretty much the same things with Lightroom and Photoshop. Especially now Lightroom has the range selection. Now with the acquisition of the Nik Collection by DxO and their announced integration into DxO Photolab there will hopefully be a full “revival” in a good RAW converter. I do hope so. I alsohope they find time to incorporate conversion of the Fuji RAW files. Very informative article. As I am having trouble with the Nik collection download connecting with my Lightroom 6, I may well take on Topaz, as it is only the Silver Efex Pro that I require for mono conversion. Thanks. I’m pleased you like the article. Topaz is a good option for B&W conversion but I would seriously checkout the Exposure X2 and PhotoWiz B&W Styler demos before making a decision. Both are very strong for B&W conversion. Thanks for the comparison article, very informative. I haven’t used Silver Efex Pro but I’ve seen the control points used on youtube, they are what I’m looking for. Do any of the alternatives have that feature or something similar? Thanks. Control Points were a Nik Technology which I think they protected. I currently don’t know of anything similar in terms of how they work. At one time there were a couple of other products on the market that used something similar but they seemed to vanish. The best advice I can give is to learn masking techniques which you can then employ either directly in some of the tools or using layers in Photoshop. Thanks for sharing the thoughts. Could you give your opinions on Affinity Photo as an alternative for Nik Collection? In all honesty, I don’t think Affinity Photo is an alternative for the Nik Collection. The reason I say this is that you need a lot of knowledge to get the most out of Affinity Photo. Had you asked me if it’s an alternative to Photoshop I would have said absolutely; it’s almost a direct replacement and produces excellent results. What might be an alternative is the iPad version of Affinity. It’s still complex and requires more getting used to, but its a lot more intuitive in my opnion. Thank you for your analysis. Good guidance. I still hesitate to go to Topaz or ON1. Would appreciate further entries based on your trials. Thanks. I’m probably going to do some more in depth analysis of some of these alternatives, demonstrating processing techniques. Noiseware does a really credible job and Portraiture is great if you do Portraits and figure out how to use. Thanks Robin, a very useful article and and few sites to look up. I too have noticed quite a few mentions lately of an upcoming Windows version of the MacPhun software but have no experience of it being a Windows PC user. Many thanks for your article. As a novice to postprocessing my knowledge of the possibilities of PS and LR is too limited to be able to judge their comparative strength to other software packages. I already assumed, that for my needs deeper learning of PS and LR and “something” for stitching should be sufficient, your article has endorsed my feeling and saves me further research. Thanks Robert. Pleased you found this helpful. Great article thanks for posting Robin. McPhun – some of the people with NIK were involved in developing the various products ranging from Luminar, Creative Kit, and Aurora HDR. Work as plug-ins for LR and PS. I think Luminar is stand alone also. A product for Mac but I think they may have a Luminar beta for PC. Thanks. I have also heard rumours about some of the Nik team moving over there. I keep meaning to look more closely at their software. Great article covering info one can actually use. Especially helpful are the comparison charts. Let’s hope, in the end, that Adobe buys NIK and incorporates it into LR & PS. Wouldn’t that be fantastic! Thanks. And yes that would be wonderful if they did buy them. I am looking forward to try some new alternative tools. – Some of them might be better than Nik. There are some useful alternatives but it does come down to personal preference and needs.